On April 6, Singapore and Malaysia announced an end to tensions over airspace that have complicated ties since late last year. While the move had been expected, it nonetheless put the focus on ongoing efforts by the neighboring states to manage their bilateral relationship amid wider challenges just as the two leaders are scheduled to meet on April 9. As I have noted before in these pages, while Malaysia and Singapore continue to work to develop their bilateral relationship, challenges tend to still sporadically emerge for ties, including on boundary issues. Late last year, disputes re-emerged, including Malaysia’s protests on the publication of Instrument Landing System procedures for Seletar Airport, just as both countries were managing domestic political changes, with Malaysia’s government under returning Prime Minister Mahathir Mohamad looking to shape its foreign policy following a shock election win in May 2018 and Singapore preparing for a gradual transition away from current Prime Minister Lee Hsien Loong. Since then, both sides have been working to reduce tensions and manage these issues. While this has proven difficult, there have been some signs of progress, with the most notable one being a temporary freeze or pause in the maritime issues surrounding the port limits of both countries in mid-March announced by both foreign ministers. Over the weekend, the efforts by both sides to manage their tensions was in the headlines again with Malaysia and Singapore publicly announcing that they had ended tensions over airspace. In a joint statement, the two nations’ transport ministers said Singapore had agreed to stop using the ILS at Seletar Airport, while Malaysia had said it would suspend its restrictions over Pasir Gudang. Though the move was expected, it is not without significance. The easing of tensions gets at concerns both sides had advanced earlier, including the paths of flight routes and effects on residents and businesses. There are also tangible effects of this easing, such as the resumption of some flights that had been suspended. More generally, the move is also yet another indication of both sides being able to manage tensions in the broader bilateral relationship that have surfaced over the past year. 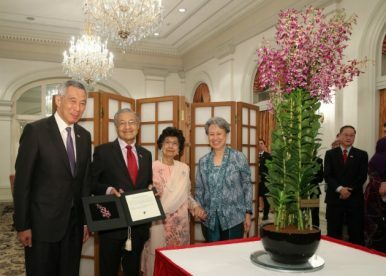 The timing of it also speaks even more to this point – it comes just days before the convening of the Malaysia-Singapore Leader’s Retreat between Mahathir and Lee on both sides set to take place on the morning of April 9 (Malaysian time), where they are expected to take stock of the full range of opportunities and challenges in bilateral ties. At the same time, this pause ought to be kept in perspective. The airspace issue is only one of several the countries have with each other, with others including water prices and infrastructure projects. And, more broadly, while credit is due to both sides for attempting to manage these issues, the reality is that the broader challenge of realigning ties amid domestic political change still continues, which will affect how leaders and politicians will manage these matters as well into the future. Zulkiple Kassim makes an introductory trip to the city-state amid an uncertain geopolitical environment.